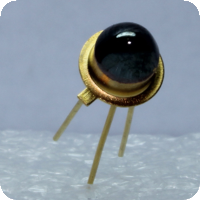 LED Microsensor NT is glad to announce new photodiodes with special glass covering with increased responsivity (up to 3-5 times). This allows obtaining higher accuracy in different gas, liquids and solids sensing and analysis applications. Together with other advantages (compact size, high response speed) our photodiodes become even more impressive element base for sensors and analysers. *1 Parameter tested for representative sampling. *2 Parameter tested for each device. *3 Measured at Vreverse = 1 V for Lms24PD, Lms25PD models and at Vreverse = 0.1 V bias for other models. *4 Measured at Vreverse = 10 mV. *5 Temperature range may vary for different packaging types.